Origin of name  From the confederate rosebushes that lined the long drive. There are still a few of the bushes on the side of the house. 1771  House built the Dewitt family (National Register). 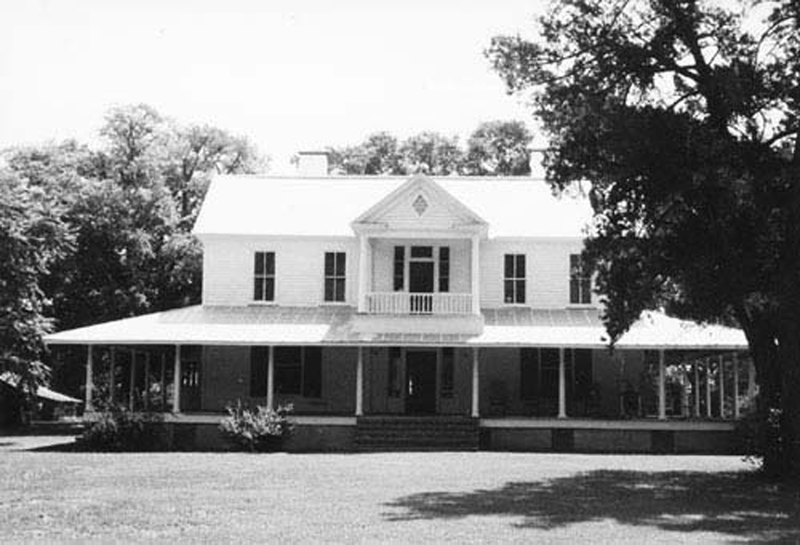 1821  Richard Brockinton purchased the plantation from Harris Dewitt and Nathaniel S. McCall (National Register). 1831 or 1832  The original house burned (National Register). 1835  Brockinton built a house using hand-hewn construction (National Register). 1840-1843  Richard Brockinton died sometime during this period and his widow, Mary Hart Brockinton, inherited Roseville (National Register). 1851-1853  Mary died leaving the plantation to her nephew, Peter Samuel Bacot. Peter and his wife, Anna Jane White Bacot, had been living at Roseville before Mary's death (National Register). 1864  Peter died from yellow fever and left his estate to be divided equally between his six children as Anna had proceeded him in death (National Register). 1870  Peter's son, Peter Brockinton Bacot, owned four of the six shares of Roseville (National Register). 1877  Peter and Anna's eldest daughter, Ada White Bacot, and her third husband, James E.H. Clarke, returned to Roseville to oversee the plantation's operations (National Register).
?  Ada and James' son, Thomas Alfred Clarke, inherited Roseville and continued farming the land. Thomas expanded the crops to include tobacco (National Register).
?  James Henry Clarke owned Roseville (National Register). 1948  Roseville was sold outside of the Clarke family (National Register).
?  Carl and Eleanor Tucker purchased Roseville (National Register). There is an oak-lined avenue that leads to the house (National Register).